Albertian Grace Jale has been offered a professional contract by European football club Sparta Prague. Grace, who is playing for New Zealand in the Women’s U20 World Cup in France, is expected to travel to the Czech Republic after the tournament to agree terms with Sparta Prague, who are reigning national champions and regularly feature in the UEFA Women’s Champions League. Director of Football Peter Smith and Girls 1st XI coach Rudy Mozr are delighted at the news, saying it’s a vindication of their ‘Beyond MAGS’ programme. It was through Mr Mozr’s contacts that Grace (2013-17) was introduced to Sparta Prague. Mr Smith said Grace’s rise through the ranks was also an endorsement of the Football programme, with participants being offered weekly sessions of strength and conditioning, pilates, pool recovery and tactical and technical training. Mr Mozr said the Football department was trying to build relationships with clubs such as Sparta Prague so they could provide pathways for promising players. 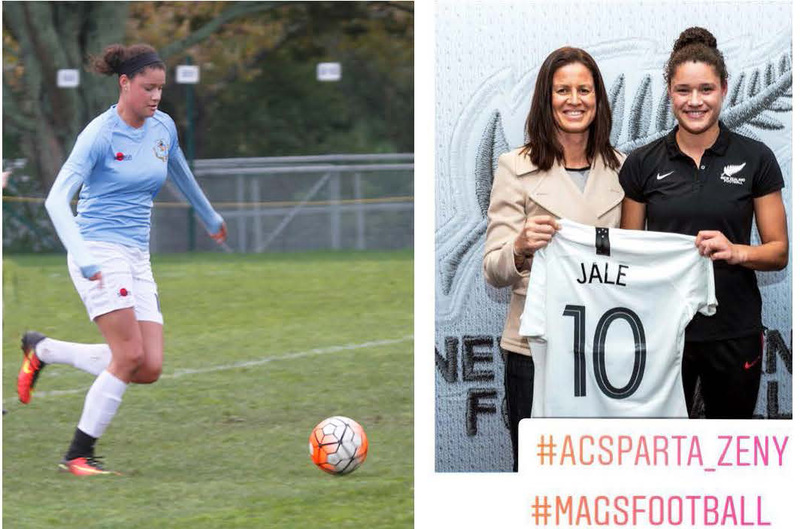 Grace, who was a member of MAGS’ national champion Football team during her time at the school, will be joining a club that has been Czech women’s national champions 19 times during the past 25 years. © 2019 Mount Albert Grammar School. Website Design by Jade Creative. +64 9 846 2044 / [email protected] / Alberton Avenue, Mount Albert, Auckland 1025.